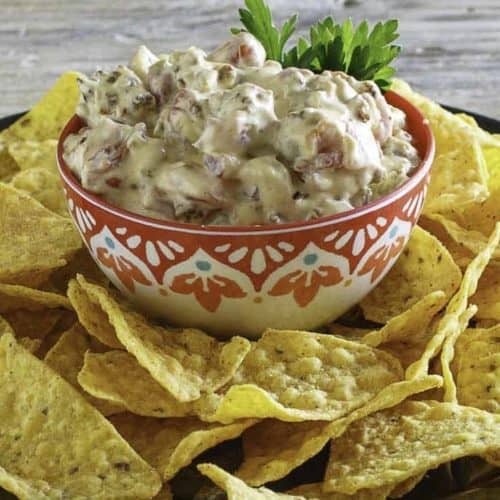 From tailgating parties, Superbowl bashes, wedding and baby showers, and even before-dinner noshing, Rotel dip is a classic appetizer that features melting cheese and spicy tomatoes and chilies. In under 30 minutes, you can have a delicious bowl of Cheesy Goodness. Ro-Tel dip is a classic appetizer that features melted cheese, spicy tomatoes, and chilies. It’s perfect for all manner of occasions – think tailgating parties, Super Bowl bashes, Fourth of July festivities, summer get-togethers, wedding and baby showers – or just enjoy it as a before-dinner nosh. There is no one standard version of this party favorite, so you can easily mix and match ingredients to create the perfect dip for your family and friends. Velveeta Cheese Dip with Rotel and more! Velveeta – Velveeta is the brand name of a processed cheese product that tastes something like American cheese, but is softer and smoother. As a result, it’s the perfect product for clump-free melting. Ro-Tel Tomatoes – Ro-Tel is the brand name of canned diced tomatoes with green chilies. The cans are available in varying degrees of spiciness and hotness to suit every taste bud. Ro-Tel makes ordinary appetizers and dishes come alive with the bold, festive flavor of the Southwest. The Dippers – Hearty dips call for sturdy dippers – you need a stable platform to support all that good creamy stuff. Some suggestions are corn tortillas, raw veggies, chunks of crusty bread, or even thick-sliced sausage (like kielbasa). Consider cutting pita bread into triangles then brushing lightly with olive oil and toasting in the oven. There are endless possible variations on the basic Velveeta and Ro-Tel dip. For instance, you can throw in some veggies such as green peppers or celery. If you have used a mild Ro-Tel and you don’t think your dip will have enough heat, add a few dashes of hot sauce or pinches of dried chili flakes. You can even add a can or bottle of beer for a delicious, unusual twist. Here are a few more ideas. Zippy Salsa Cheese Dip – add some mild or spicy salsa. Uber-Yummy Chili-Cheese Dip – add a can of chili (with beans). 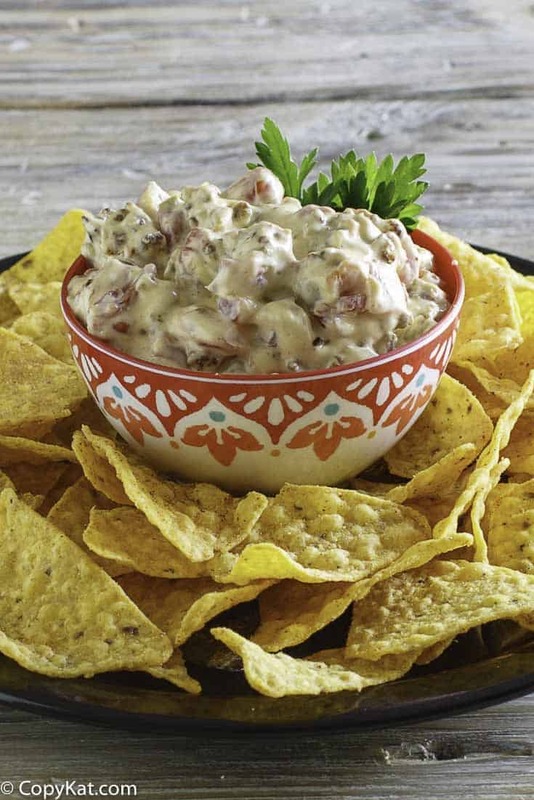 Meat-Lovers Dip – add a pound of browned sausage or ground beef. Creamy Mushroom Dip – Add a can of low-fat cream of mushroom soup. Extra Cheesy Dip – Add a block of cream cheese. Chihuahua Cheese Dip – Velveeta, cream cheese, sour cream, grated sharp Cheddar, salsa, green chilies, olives, garlic powder. Hamburger Velveeta Dip – Velveeta, browned lean ground beef, chopped onion, salsa verde, salt and pepper. Nacho Cheese Dip – Velveeta, cream of chicken soup, chopped green chilies. Velveeta Cheese Dip is the best! With Velveeta as a basic in your kitchen, you’ll always be ready to put a dip together, whatever the occasion. Rot-Tel dip is easy to make, versatile and always a hit! Try the following variation on the classic Ro-Tel Cheese Dip. 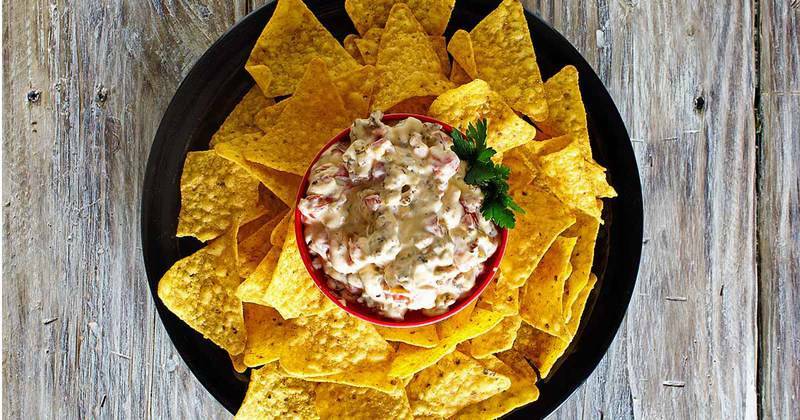 Rotel Cream Cheese Dip - A creamy twist on regular Rotel Dip. Always a hit! Heat cream cheese, Velveeta and sour cream in microwave until melted. Stir in tomatoes and jalapenos. Add sausage. Pour in crock pot to keep warm. Use Mild Rotel Tomatoes and mild sausage and omit jalapenos if you prefer a milder dip. Thanks to ohungry1 from CopyKatChat.com sharing this recipe. This recipe is delicious! I will never make it without cream cheese and sour cream, they are a game changer!! So creamy and simple to make! Such a yummy comfort food! Goes perfectly with football!???? This is perfect for game day – super creamy and delicious! I could eat the whole bowl! So many marvelous variations to try! I’m serving this to my book club again this year! This is such a great dip and so easy, love that it has sausage in it! Rotel seriously makes everything better. I don’t eat meat. Does it make any difference if I omit the meat? I just like it plain with the chip. Thanks. No, you can enjoy the dip anyway you make it. Does the cream cheese help cool down the dip, i accidentally got the spicy rotel. I think it will help some. It will help a bit. I got the jalepina Velveeta and TALK about HOT. I have made this dip for years. I only use sage sausage, add 1 can of kidney beans, 1 can of whole corn, and chopped chives. This can be a meal! Fixed this for a Christmas party and everyone complimented the dip. This dip didn’t need any adjustments. It was Just Right!! I need to post my triple dog dare you rotel dip recipe sometime. This by far the best rotel dip I have ever had. I was tired of rotel dip until I tried this one, it was actually the hit of the party!